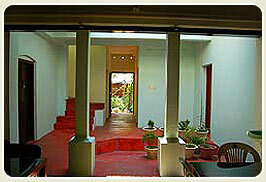 Snehadhara Resort is a	heritage home stay at Alleppey. 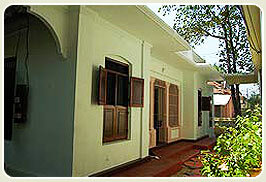 Its a 70 year old mansion along the backwater canal close to the famous Alappuzha Beach. 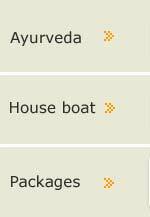 Alappuzha is the Venice of Asia in Kerala. 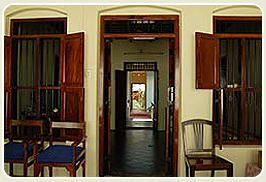 Snehadhara, the traditional homes of the landed gentry the typical Kerala style home built by the renowned practitioner of Ayurveda, P.O.S. Lebba. 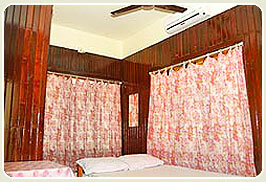 Spacious Airy Guest Rooms are Simple and Clean in the Heritage Style with modern private facilities attached. 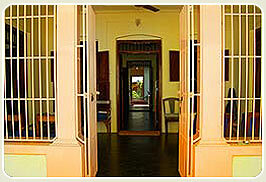 Each of the bedrooms air-conditioned and non air -conditioned has its own antique object: a huge metal safe in one room, an ornate set of trinket boxes in another. A stroll round the house feels like a tour of a lived-in antique museum. Moreover, this is the true experience of living with an Indian family as the guests occupy comfortably furnished rooms in the house itself. 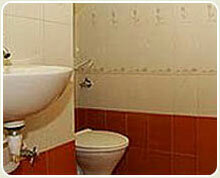 This gives the stay an informal aura as you can really get to know the family, whilst enjoying as much privacy as you like.